Siwertell customer Aluminij Mostar, based in Bosnia and Herzegovina, found that alumina discharged with a pneumatic unloader has a fines content with a particle size of less than 45μm of up to five percent. 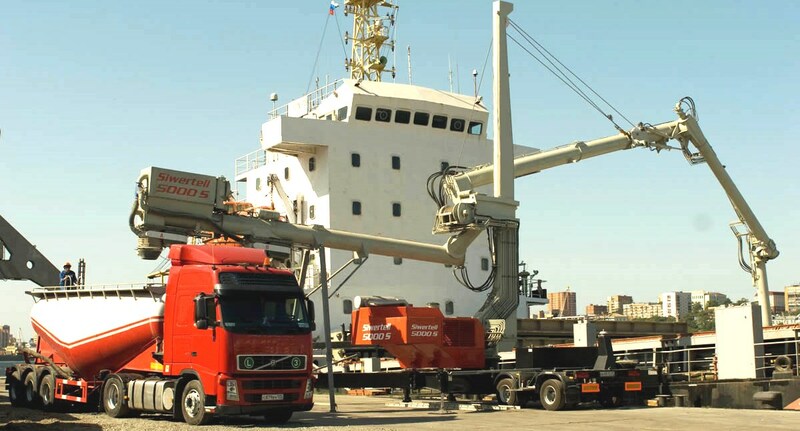 The company had ten years experience of using a 5 000 S, road-mobile Siwertell unloader – equipped with a double-loading bellows system and radio remote control – for discharging alumina at the Port of Ploče in Croatia. During that time the alumina had an average fines value of between 0.2 and 0.3 percent. The reduced amount of fines had a hugely beneficial impact to the plant’s energy consumption. A major factor in Aluminij Mostar’s initial decision to purchase a Siwertell system was its desire for a clean, environment-friendly operation. In addition to the clean operation and the small percentage of fines, the company found that it had made a very sound decision in terms of performance, efficiency and reliability. Commenting on its unloader in 2001, it said that the machine was operating to its complete satisfaction, handling over 100,000 tonnes of alumina per annum, and exceeding its specified unloading rate by 30 percent. The company described it as: “environmentally superior and very efficient”. Operations at Ploče ceased in 2006. By that time the unloader had logged 10,550 hours, discharging over 1,250,000 tonnes of alumina, at an overall through-ship rate of nearly 120t/h.